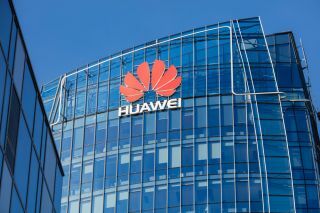 Huawei has suggested that EU supervisors oversee the company’s cybersecurity practices in order to help convince the western world that it is not helping the Chinese government spy on other countries. This is one of the key takeaways of the speech a Huawei representative gave late Thursday, according to Reuters. Abraham Liu, Huawei’s chief representative to EU institutions, said cybersecurity is a ‘technical issue instead of an idealogical one’, and as such, can be resolved ‘through the right solutions’. “We are always willing to accept the supervision and suggestions of all European governments, customers and partners.” He also reiterated that the company’s products have never harmed national security of any country in the world. Huawei is under increasing pressure from the States, whose government is accusing it of helping the Chinese with spying. Allegedly, Huawei’s 5G infrastructure equipment can come with backdoors, allowing the Chinese government to spy on communications of any country using Huawei’s gear. Citing a matter of national security, the US has not only called for Huawei’s ban in the country, but has also urged its allies to do the same. Japan, Italy, Germany, Australia, New Zealand, those are just some of the countries that are considering the ban on Huawei. Huawei, on the other hand, says there is zero proof of these claims, and also said that even the calls for the ban are exaggerated. The company’s CFO is in Canada, in custody, awaiting extradition to the US on charges of fraud. Another Huawei employee was recently arrested in Poland for alleged spying. He was later fired from the company.